Somebody’s Home Exhibition Opening Reception! 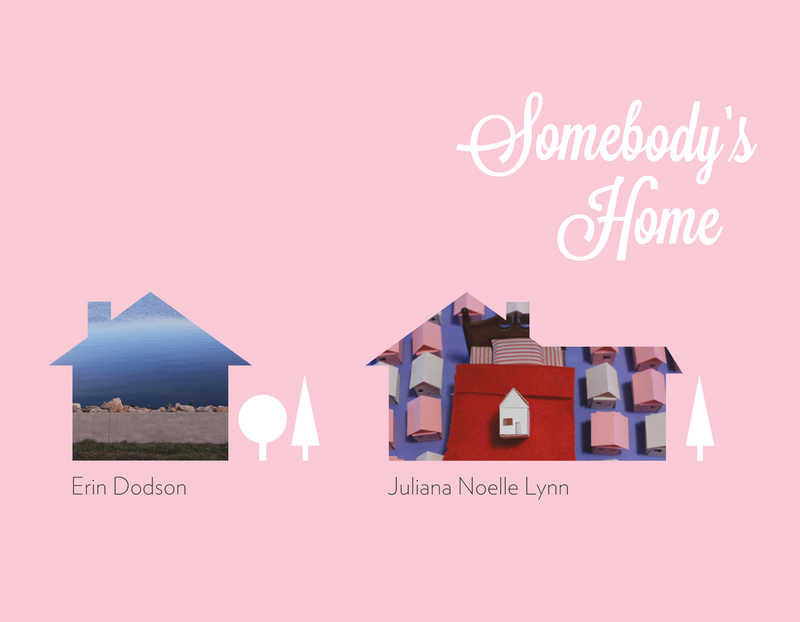 We’re hosting an opening reception for Somebody’s Home, an exhibition featuring the work of Juliana Noelle Lynn and Erin Dodson. The work of Lynn and Dodson utilize a multimedia approach to explore memory, adolescence, and girlhood in the context of Midwestern suburbia. 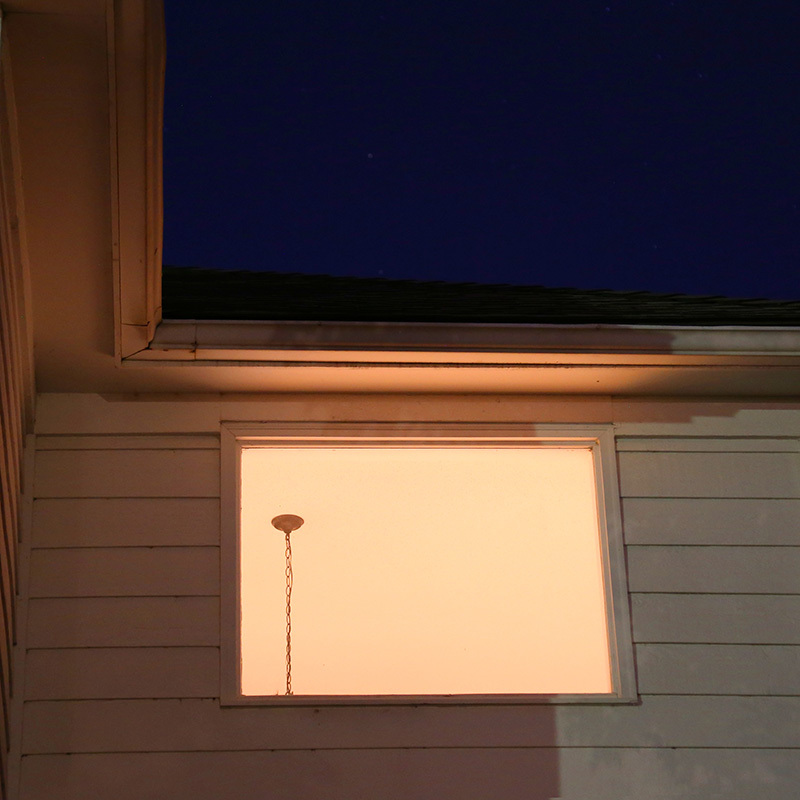 Erin Dodson’s Strange Light, Suburbs is a series of digital images she began on Instagram, and later continued to develop with a full frame camera. Based on the experience of growing up in the suburbs of Kansas City, Dodson was inspired by the eerie nostalgia that arose when she noticed the lights and sounds from high school football games in the fall. The feeling reminded Dodson of the terror she felt as a teenager at the impending winter, and the mounting responsibilities of growing up. She recalled the nights in the woods between houses, building things out of branches by the old broken down car, trying to buy cigarettes, lighting candles in the tunnels that ran under the highway, the streetlights casting orange and green light through walnut trees at night, driving and loitering. Observing the colors of the light in the suburbs of Kansas City, the half-tamed plant and animal life, the idyllic parks and winding, plotted streets, all ignited the melancholy longing of suburban adolescence. Lynn’s animations and collages explore nostalgia and memory by contrasting idealized symbols of the suburban home and personal occurrences. 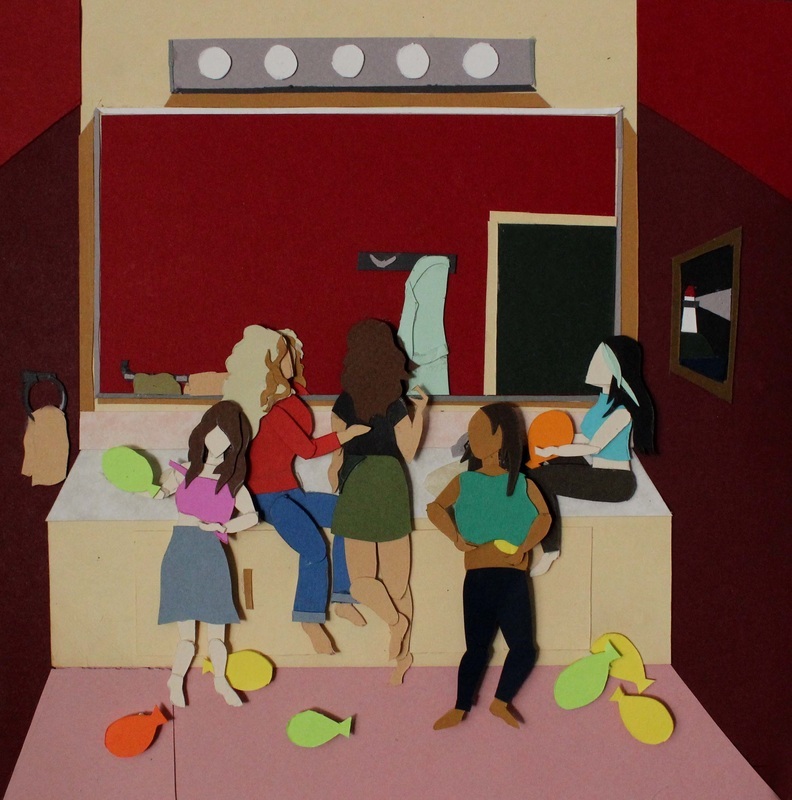 Her work creates a depiction of the unraveling of home, the secrets, rumors, and stories slowly surfacing through use of mundane objects and interiors. After Dark, a series of paper collages, explores girlhood and budding adolescence within the quiet shroud of suburbia by night. This series reveals the curiosities of an elusive cast of preteen characters; the use of misplaced childhood tropes, such as mermaids and monsters under the bed, examine the unclear border of childhood and adolescence. 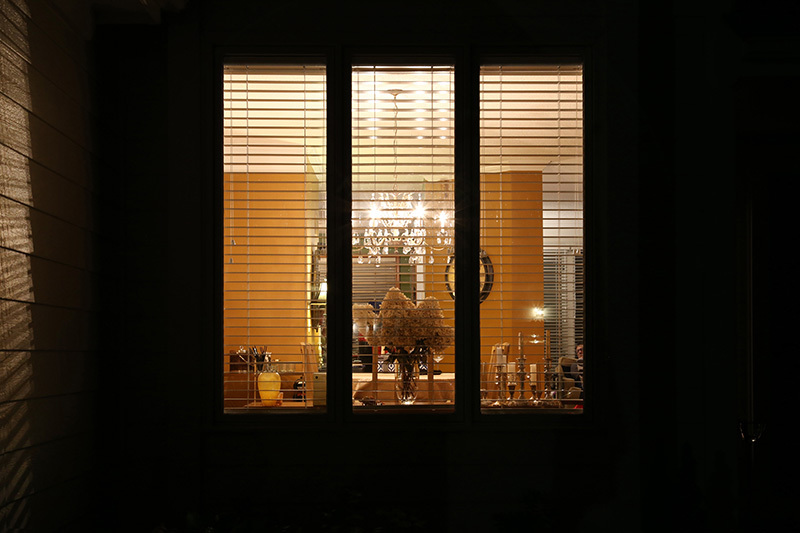 In a phase of life with increasing social and bodily tensions, yet a nervousness about what lurks in the closet at night, After Dark seeks to examine the confusion, excitement, and discovery of the not quite coming of age. This entry was posted in Current, Exhibitions, Project Updates. Bookmark the permalink.